Skincare is not always a top priority for some people, but it should be up there on your list of daily concerns. That’s because your skin is exposed to practically everything. It takes quite a beating throughout your life, and a little daily care can go a long way towards strengthening it. Unfortunately, most people don’t think about that until their skin starts to show signs of age, and then they think it’s too late. But it’s not too late at all. The skincare market is full of corrective products and procedures. Are Corrective Skincare Procedures Always Necessary? If you don’t mind having a wrinkle or two or ten, you don’t necessarily need to have skincare procedures done, even when you get older. You can just choose to roll with the punches of the aging process. But for most of us wrinkles and sagging skin are quite annoying. So, while skincare procedures aren’t always necessary, they are very popular. Before you turn to clinical skincare equipment you can take the first steps for correcting skin problems yourself. That can mean anything from giving up cigarette smoking to improving your diet, depending on your current lifestyle. It also means using the right lotions, creams, and cleansers for your skin and using them exactly as directed. If need be, you can even ask your dermatologist for prescription skin cream that is best suited for you. Many people think that they can care for their own skin at home. Worse yet, some people don’t even think about skincare at all until after they develop major skin problems. The truth of the matter is that, assuming you are vigilant about your home skincare from a young age, you might be able to stave off signs of aging a bit longer than other people. But eventually you too will develop sun spots, wrinkles, fine lines, and other skin concerns that need to be addressed with lasers or other clinical treatments. That doesn’t necessarily mean that you haven’t cared for your skin well. It just means that no amount of at-home skincare can keep your skin healthy forever. You see, our skin naturally degrades with age because certain proteins and hormones are not produced as much as they were when our bodies were younger. When that natural decline starts to happen, you might find yourself making a visit to your local skincare clinic. 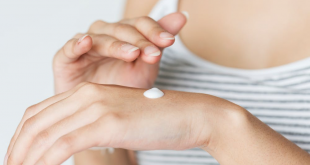 It might be tempting to go in for surgery to tighten up your skin or remove its imperfections, but that isn’t necessarily the best way to go about the process of improving your skin health. For one thing, surgery can be very expensive and time-consuming. There’s a lot of preparation involved, and you will also need time to recover when all is said and done. There are many skincare equipment that can help you to repair your skin with far fewer risks and far less time spent. One skincare option that you have is to get some form of laser treatment. The exact type of laser appointment you should schedule will depend on what your skin concerns are. For example, there are some lasers that perform deep tissue treatment, while others are more meant for surface treatment. Along those same lines, when selecting a laser procedure you need to keep in mind that the various lasers on today’s skincare markets come in different strengths, have different uses, and can produce different side effects. Some have more side effect risks than others. For instance, since ablative lasers can “peel” some or all of the outer layer of skin off, you need to follow post-procedural instructions if you want to avoid skin infections. Non-ablative lasers are much less likely to cause infection risks because they tend to treat lower skin layers without opening the door for bacterial infections to take hold. But the other side of that coin is that non-ablative lasers aren’t as powerful. So you might need many treatments before you see any improvement in the health of your skin from those sorts of treatments. 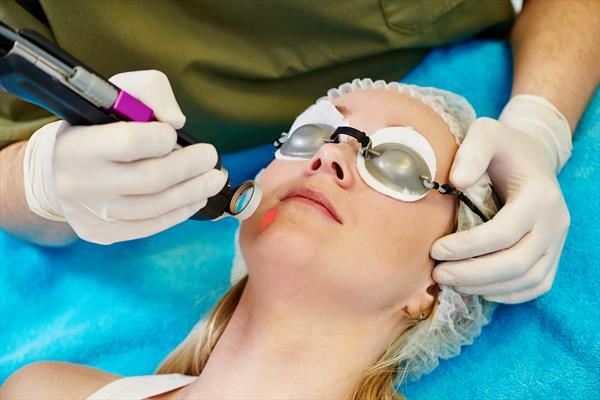 It’s not just a matter of choosing lasers over surgery and then choosing a specific type of laser. You also have many non-lasers skincare procedures to pick from. Some of your potential skincare choices include various types of light therapy, such as LED light treatment, and various types of sound wave therapy, such as ultrasound. Microdermabrasion, micro-needling, and chemical peels are just a few of the other choices. Finally, remember that combining treatments is also an option. In other words, you could schedule laser treatments for part of your body but some other form of treatment for another part. You could also choose to use medicated creams and lotions to strengthen your skin, even if you are undergoing clinical treatment too. There are many different combinations of options available. Your clinician or dermatologist can help you figure out if one or more of them is right for your skin.